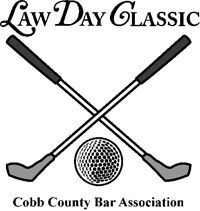 Pro ud sponsor of the Cobb Young Professionals Annual Charity Golf Tournament benefiting Children’s Healthcare of Atlanta on Monday, May 21 at Indian Hills Country Club. W e are pleased to introduce our summer intern, Abbey Bartolick! Abbey grew up in Cobb County and graduated from Allatoona High School. She is currently a Junior at Gonzaga University, where she is studying Economics. 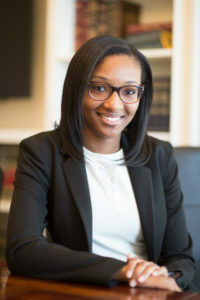 After graduating with her B.A., Abbey hopes to continue on to law school. 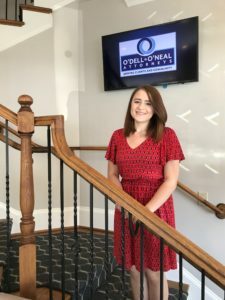 We are happy to have her at O’Dell & O’Neal! 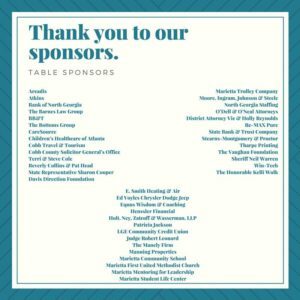 Proud sponsor of Light The Way 5K 2018. 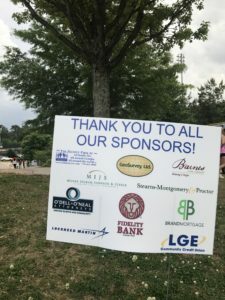 The event was this past Saturday and helped the Kiwanis Club of Marietta raise funds to support literacy and “Light the Way” to Graduate Marietta! O.C.G.A. §19-7-3 governs visitation for family members. Family members in this statute is defined as grandparents, great-grandparents, or siblings. O.C.G.A. §19-7-3(a)(1). As a grandparent, you have the legal right to exercise visitation with your grandchild. Grandparents can file an original action seeking visitation or intervene in a pending action where the issue of custody, divorce of the parent(s), termination of parental rights, visitation or adoption is before the court. O.C.G.A. §19-7-3(b)(1)(B). As a grandparent, the court may grant you visitation if it finds by clear and convincing evidence that the health and welfare of your grandchild would be harmed unless you are granted visitation and if the best interests of your grandchild would be served by such visitation. O.C.G.A §19-7-3(c)(1). When considering whether the health and welfare of your grandchild would be harmed, the court shall consider and may find that harm to your grandchild will likely result when prior to bringing an action for visitation, your grandchild lived with you for six months or more, you provided financial support for the basic needs of your grandchild for at least one year, you had an established pattern of regular visitation or child care with your grandchild or “any other circumstance exists indicating that emotional or physical harm would be reasonably likely to result if such visitation is not granted.” Id. There is a rebuttable presumption that if you had a preexisting relationship with your grandchild, he may suffer emotional injury that is harmful to his health if your grandchild is denied any contact with you or is not provided some minimal opportunity for contact with you. O.C.G.A §19-7-3(c)(3). For some grandparents, exercising visitation with their grandchild is not as simple as calling to make arrangements with a parent. If you are among the many grandparents who are being denied access to their grandchildren contact an attorney today to learn more about your specific rights to visitation with your grandchild. 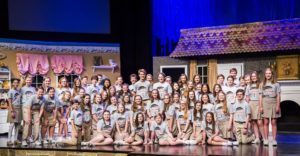 Happy to sponsor Eastside Christian School and their musical theater program. 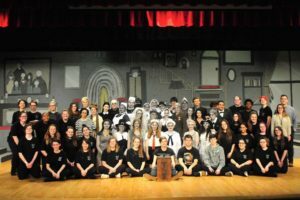 Wishing these students the best of luck on their production, Mary Poppins Jr. Happy to sponsor the 6th Annual Law Day Classic Golf Tournament. All proceeds benefit the Cobb County Bar Children’s Emergency Fund. 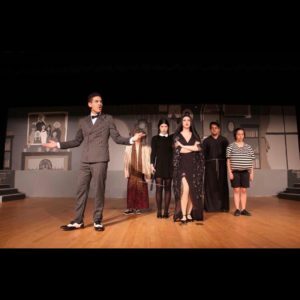 Proud sponsor of Woodstock Dram a. Tonight is opening night of their spring production, The Addams Family starting at 730PM. Livesafe Resources is hosting the 33rd Annual Tribute to Women of Achievement this Friday, March 23. 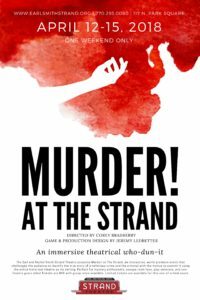 On April 12-15, The Strand is debuting a brand-new immersive theatrical who-dun-it murder mystery, and yours truly is going to be the (un)lucky victim! Grab your tickets for Thursday, April 12 at 8:30pm to see my untimely demise and help crack the case of who did it and why. Visit the links below for more info on the show. 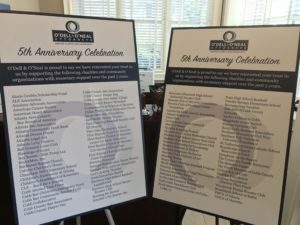 O’De ll & O’Neal Attorneys recently celebrated 5 years of business and since opening our doors, we’ve been able to donate over $100,000 to charities and local organizations.